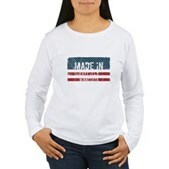 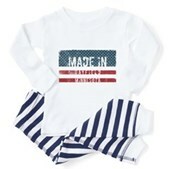 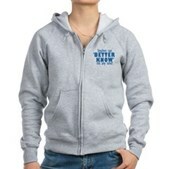 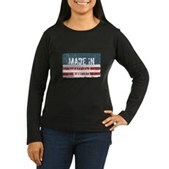 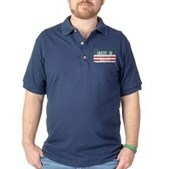 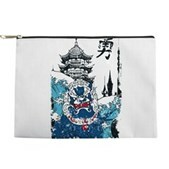 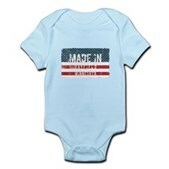 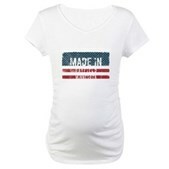 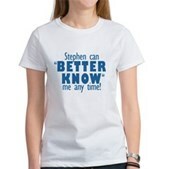 Colbert Report fans, this is for you! 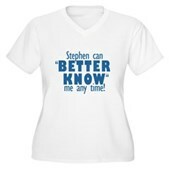 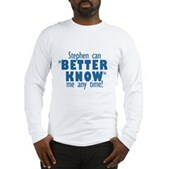 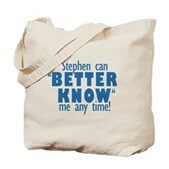 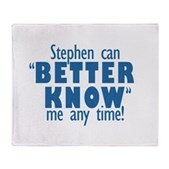 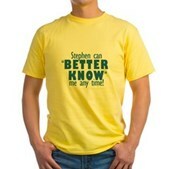 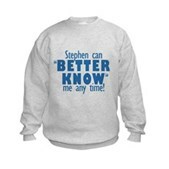 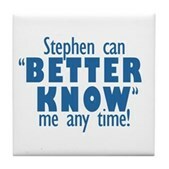 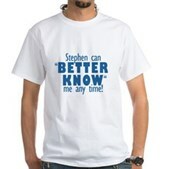 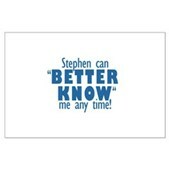 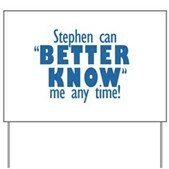 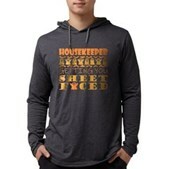 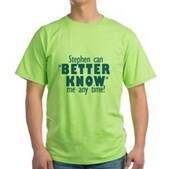 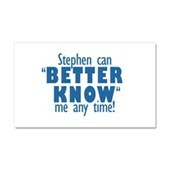 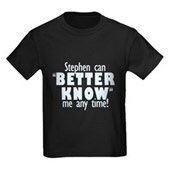 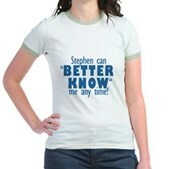 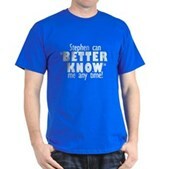 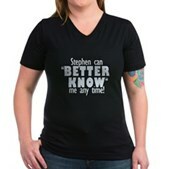 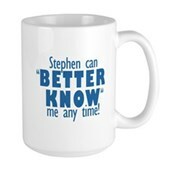 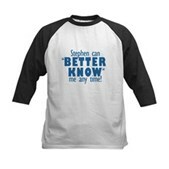 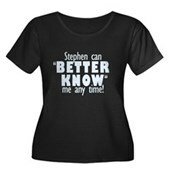 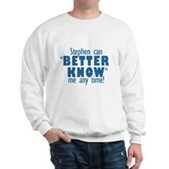 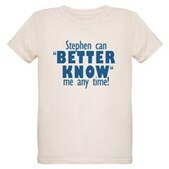 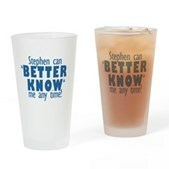 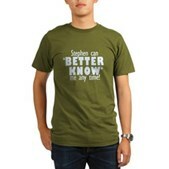 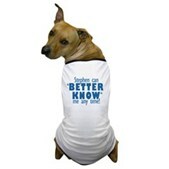 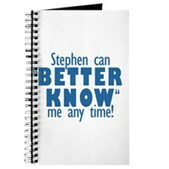 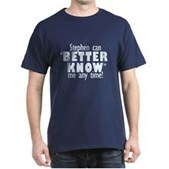 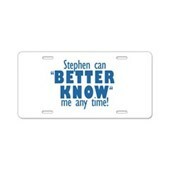 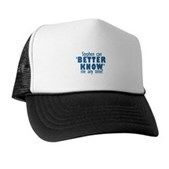 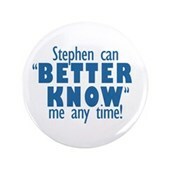 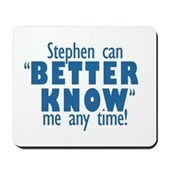 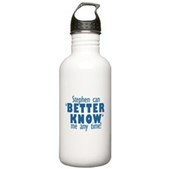 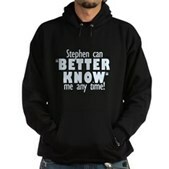 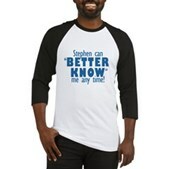 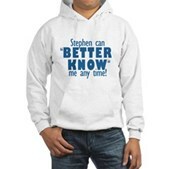 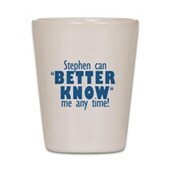 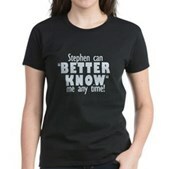 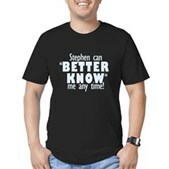 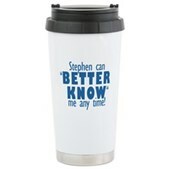 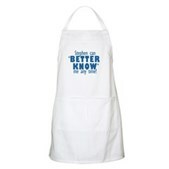 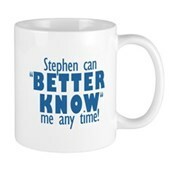 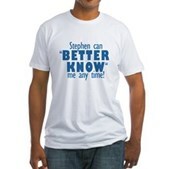 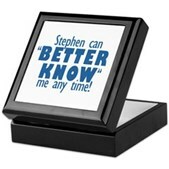 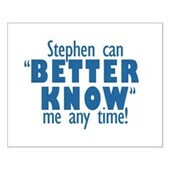 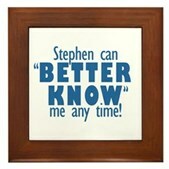 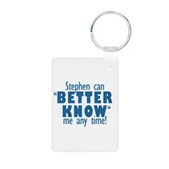 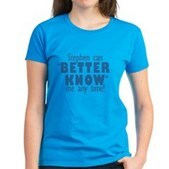 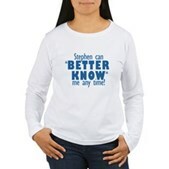 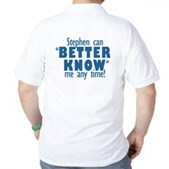 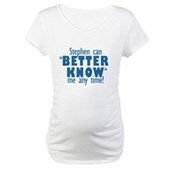 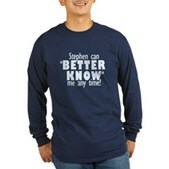 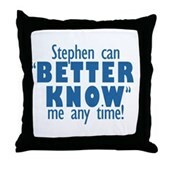 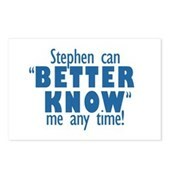 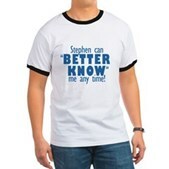 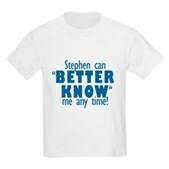 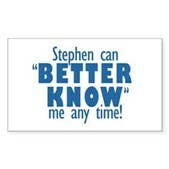 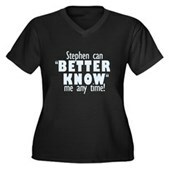 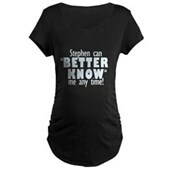 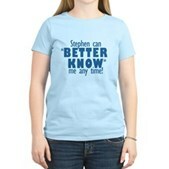 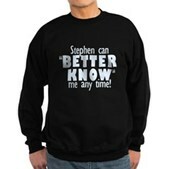 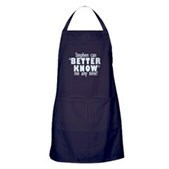 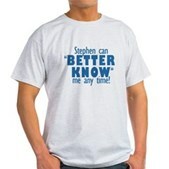 A play on the Better Know a District Segment, this design reads Stephen Can Better Know Me Any Time! 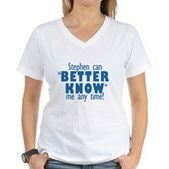 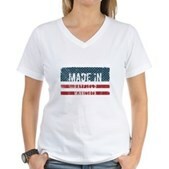 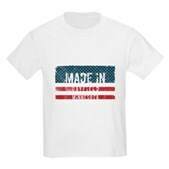 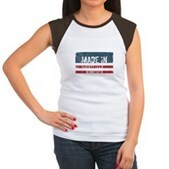 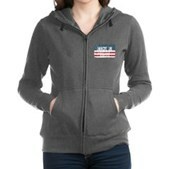 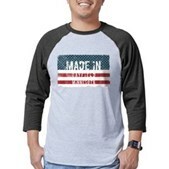 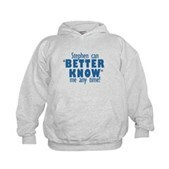 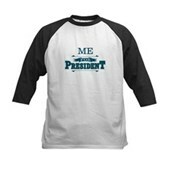 Check out our other Colbert-inspired fan designs in the Colbertique.